This tutorial demonstrates uploading sketches to an Arduino over a wireless connection. I designed a couple of XBee adapter boards for my Hobbyduino V3 (Arduino clone). 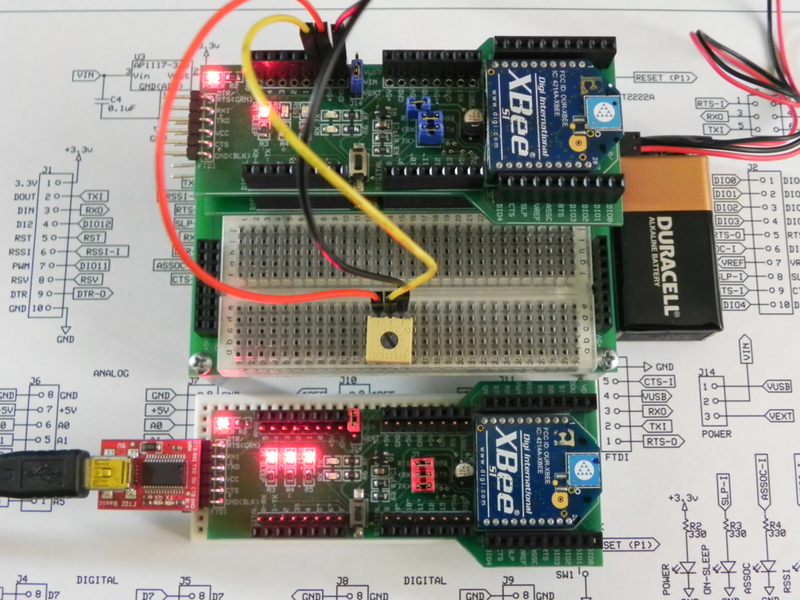 These adapters made it easy to properly configure each of the XBee Series 1 modems used in the tutorial. Check out the tutorial for full details.